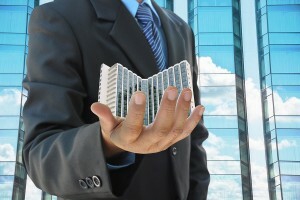 A property management company is crucial to an investor’s success. Real estate is a business. For your business to succeed you need to be on top of your investment properties.When buying investment property you need to have confidence that the company managing those investments is performing well and providing you the results you want. Investors should understand the crucial role this power team member has in the success of their property. A good Property Manager should be concerned about things such as occupancy, maintenance, rent collection , marketing, and the property’s financials. These elements tie into what I think are the two most important tasks of your property manager. Increasing the net operating income (NOI) . When you can increase the NOI you are better able to service your debt, generate more cash flow and, consequently, drive up the value of the property. This is essentially what property management is all about! Buying investment property means ensuring they are doing the right things for your property to get the right results. Many investors are not even physically in the same city as their properties. They rely on their Property Management Company to implement their strategies. So, how can you ensure your property manager is on the right the track? How do you ensue they keep you in the loop about the financial dealings of the property? Let’s look at 2 ways. How to Keep Your Property Manager’s Eye on Your Goals? Obtain regular reports. This will allow you to be certain nothing falls through the cracks. It also keeps them on their toes as they will know their performance is being closely monitored. Provide performance based payments.This helps ensure your property manager is working towards decreasing expenses and increasing income, and has their eye set on meeting or surpassing your financial targets. The key to hiring a good property management company is choosing one that has the same vision for the property as you do. If you are both on the same page you will have greater confidence that it will be managed in the right way. If you are new to buying investment property or are a seasoned investor; carefully interview potential candidates to make sure you find the right fit. A property manager can dramatically affect the performance of your property, so do your homework and choose wisely. If you want to learn more about buying investment property or how investing can benefit YOU, Contact us.